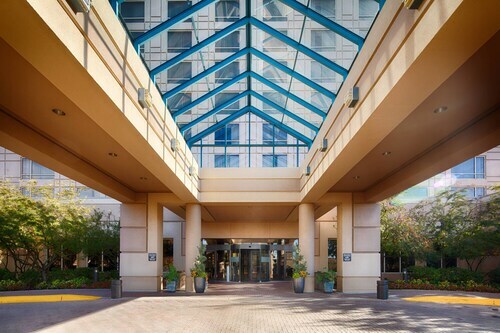 Situated in the business district, this hotel is 0.5 mi (0.8 km) from Ridgedale Center and within 6 mi (10 km) of Brookview Golf Course and Shops at West End. Depot Docks and Minneapolis Sculpture Garden are also within 9 mi (15 km). 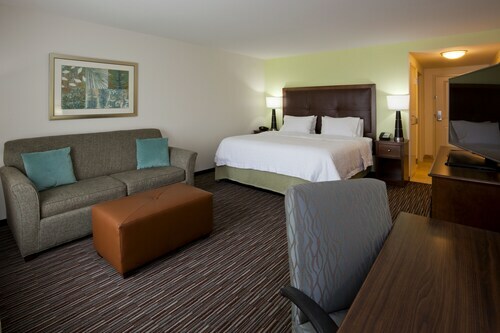 Situated in the suburbs, this hotel is 1.6 mi (2.6 km) from Ridgedale Center and within 6 mi (10 km) of Shops at West End and Chain of Lakes. Target Center and Target Field are also within 9 mi (15 km). 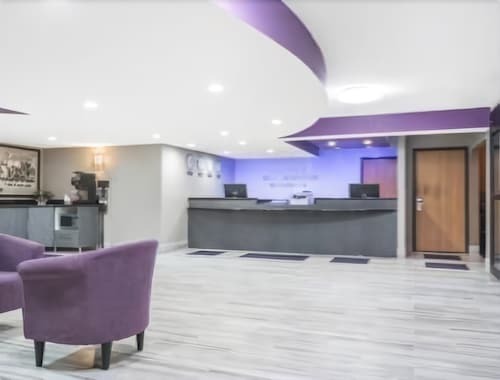 Situated in the suburbs, this hotel is 3.7 mi (6 km) from Eden Prairie Center and within 12 mi (20 km) of Minnesota Landscape Arboretum and Paisley Park. Minneapolis Sculpture Garden and Orpheum Theatre are also within 16 mi (25 km). 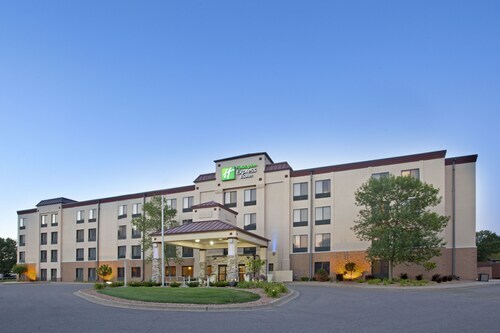 Situated in Minnetonka, this hotel is 1.4 mi (2.3 km) from Ridgedale Center and within 6 mi (10 km) of Shops at West End and Millennium Garden. Target Center and Target Field are also within 9 mi (15 km). 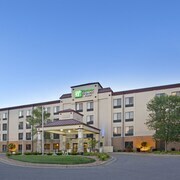 Situated in Minnetonka, this hotel is 1.2 mi (2 km) from Bryant Lake Regional Park and 3 mi (4.9 km) from Eden Prairie Center. Purgatory Creek Park Pavilion and Green Acres are also within 6 mi (10 km). 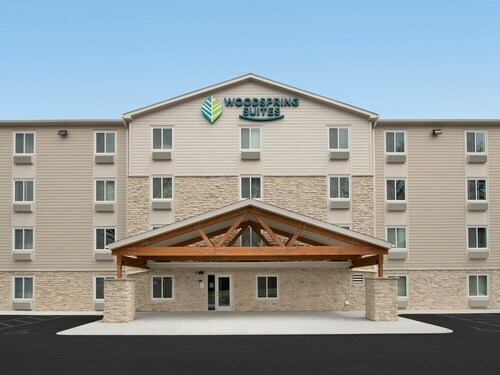 Situated in the suburbs, this hotel is 2.1 mi (3.4 km) from Bryant Lake Regional Park and within 6 mi (10 km) of Eden Prairie Center and Purgatory Creek Park Pavilion. Normandale Lake Park and Hyland Ski and Snowboard Area are also within 9 mi (15 km). How Much is a Hotel Room in Minnetonka? 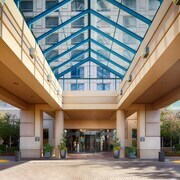 Hotels in Minnetonka start at $89 per night. Prices and availability subject to change. Additional terms may apply. It could take a curious traveler years to fully experience Minnesota, with its thousands of lakes, dense forests, and vast prairies, plus the urban sophistication of the Twin Cities themselves. But you must start your journey to see this land in a single place, and the lovely city of Minnetonka, just 8 miles from Minneapolis, might be just the place to do that. Known for being a good friend to the natural environment that surrounds it, Minnetonka welcomes lovers of the outdoors with its 49 parks and 1,000 acres of public open space. 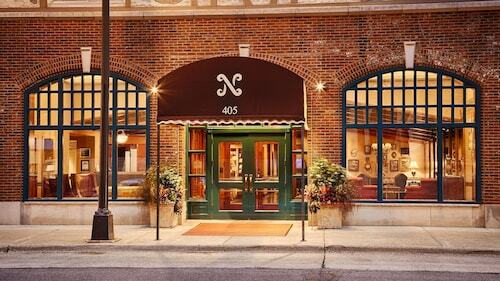 Choose one of our Minnetonka hotels as a base for your explorations and create your own personal panorama with the wooded shores and tranquil waters of the city’s eponymous lake, one of the largest in Minnesota. In spring and summer the lake is an unbroken belt of greenery around a water sports playground, in winter a frozen arena for icy adventures, and in fall a fiery aureole of reds and golds around a nucleus of deep blue. 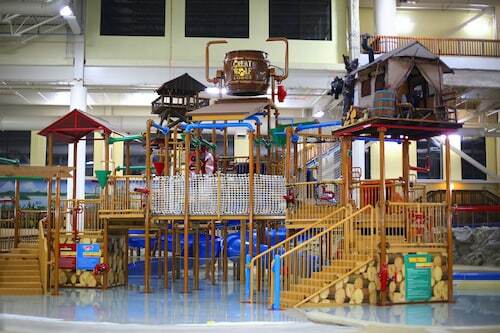 Minnetonka car rentals are handy for traveling between hotels in Minnetonka, MN, and Minneapolis-St. Paul International Airport, but are especially useful for exploring the region's outdoor destinations. Drive to Gray's Bay on the eastern shore of Lake Minnetonka and bob aboard a fishing boat, or stretch your legs on the sandy shore and trailheads at Shady Oak Beach Park. Take to the water, whether by boat, canoe, or paddleboard, and see if you can spy "Lou," a legendary monster-sized sturgeon purported to have quietly plied the lake's depths for decades. A legend of your own is in the making. Discover what lies in the North Star State on your next trip. And if you’re always on the go, download the Travelocity app to get mobile exclusive deals on motels in Minnetonka, MN or cheap Minneapolis hotels. Luxurious Wayzata - New Loaded Home Apartment With Kitchen!